Our sprinter vehicle allows for a comfortable ride through the Mojave Desert to the Grand Canyon National Park. There you will find breathtaking sights of the broadest, deepest areas of the Canyon and will also enjoy an IMAX movie. 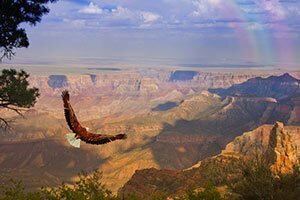 Travel like a VIP to the South Rim, where the canyon sights recognized around the world stretch to the horizon. The canyon gorges will unfold before you as you take off in a state-of-the-art helicopter for aerial views of this magnificent landform. Experience the beautiful desert scenery from the comfort of a luxury sprinter. See the Hoover Dam and the Colorado River before reaching the Grand Canyon, the most magnificent landmark in the United States. Relax aboard a luxury sprinter vehicle and see the Hoover Dam en route to the Grand Canyon West. Here, guests will find a Wild West village, multiple canyon viewpoints, and the world-famous Skywalk Bridge, which lets guests stand a mile in the air over the canyon floor. 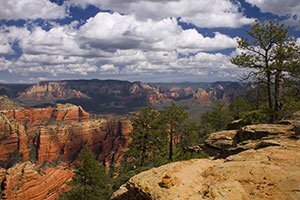 On the Platinum West Rim Tour with Helicopter and Boat, you will be able to see some of the most spectacular sights in this part of the country. Enjoy a ride through the Mojave Desert on your way to the Grand Canyon West. There, a helicopter awaits to fly guests a mile down to the canyon floor. 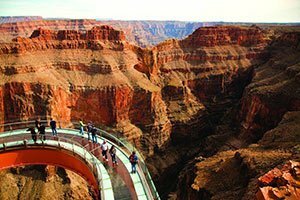 See the canyon from the bottom on a smooth boat ride down the Colorado River - then see its expanse from above, atop from the glass floor of the Skywalk Bridge. The American Southwest offers a unique and exotic landscape that cannot be found anywhere else on the planet. Of course, it is the home of the Grand Canyon - the most exciting and impressive natural formation in the country. Surrounding the canyon, however, are fantastic desert sights and landmarks that go largely unseen by most visitors due to time constraints. For those who want to experience the American Southwest in all its glory, Papillon's daylong sprinter tours are the luxury option to achieve it. Because we at Papillon want our guests to have a carefree and relaxing experience, each sprinter tour begins with a complimentary pick-up from your hotel door. Upon reaching our air terminal, passengers will board their respective sprinter and begin their all-day excursion. Our sprinters are state-of-the-art touring vehicles designed to accommodate the comfort and sightseeing needs of every passenger. Compared to a bus, which seats upwards of 50 passengers, a sprinter seats only 12 passengers and a driver.The small occupancy is perfect for a large single group or multiple small groups, and often makes for a quieter, less chaotic drive. Each seat is upholstered with soft leather and plushly cushioned, as well as being comfortably spaced from each other. The entire sprinter is air conditioned and fitted with oversized windows for sightseeing and photography. These massive windows ensure that every passenger can see the scenery pass them by, even from across the aisle. All of our vehicles including sprinters are guaranteed to meet all safety requirements required. A sprinter tour is the most relaxing mode of transportation when travelling to the Grand Canyon. Perfect for families and large parties, a sprinter tour can accommodate everyone without having to divide passengers into smaller groups. Those with fear of flying or heights may not enjoy a helicopter or plane ride, but a driving tour can bring them to canyon all the same - with added sights along the way. 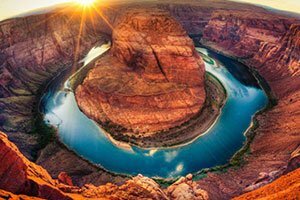 Papillon's sprinter tours are the premier outlet to spend an entire day engulfed in the majesty of the American Southwest, particularly the Grand Canyon. 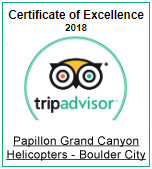 With more than 50 years flying the Grand Canyon and beyond, Papillon is the largest and most experienced helicopter tour operator in the world. 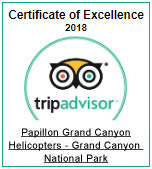 We are the preferred provider for the Grand Canyon National Park Service and certified to fly the entire Grand Canyon with exclusive landing sites at the bottom of the canyon, next to the Colorado River. 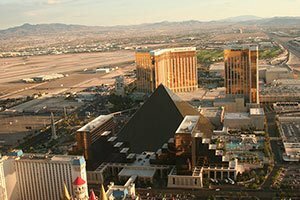 Let us show you the best of Las Vegas and beyond…by air!